I’m not an active trader at the moment, and haven’t been for a few years. One of my resolutions for 2015 is to get back into it, but I’m going to have to trick myself a little. The third point is worth expanding on. I started trading in the 1980s, and barring the 1987 crash – which happened when I was young enough that it didn’t scar me for life – markets were fairly benign until the dot-com craze. That boom was lucrative, and though the crash was painful, I got out quickly, unlike some of my friends. Throughout the 2000s the markets never quite felt the same, and since the credit crunch in 2007/08 I feel like I’ve had to learn everything all over again. Like most people, I had no experience of low interest-rate, low growth markets, dominated by central bank policy, and it’s taken some years to get used to it (not that I will ever really get used to interest rates below inflation). But now I have some time on my hands, and the tools available to private investors have greatly improved, so it’s time to saddle up. My portfolio is a lot bigger than when I last traded, and so I’m still uncomfortable (at the moment) with speculating at the necessary levels to make a difference to my overall returns. I plan to go slowly, feeding maybe 5-10% of my money into active accounts over the year. If things go well, I can increase the amounts next year. I also plan to trick myself back into following short-term movements by using a few semi-passive and mechanical approaches to investment. I’ll be covering these in posts over the next few weeks, but the one I want to look at today is social trading. 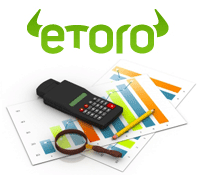 The idea behind social trading is that you follow several other “expert” traders, allocating your capital between them. When they trade, the platform automatically copies their trades for you. The main products traded are FX pairs, indices and commodities. I first came across the concept at a show in 2012, when a man from eToro included a £20 voucher in the event goody bag. I took a look at the website, but didn’t register. It slipped my mind until this New Year. In theory this an attractive product – new sources of profit (3rd party traders, FX and index trading) with moderate effort and potentially some fun along the way. Whether it works in practice is another thing: can you find traders to follow who offer a consistent “product” rather than excessive risk taking in pursuit of large profits? With margin trading, blowing up your account is always a possibility. There are now sixteen social trading platforms available in the UK, according to the list at socialtradingguru.com. This site will be my guide for the initial phase of the experiment, which is to whittle down the 16 options to a manageable 4 or 5 that I can open a demo account with. All of these have demo accounts, real accounts at $300 or less, and more than a thousand traders to copy. There may be an issue with Tradeo as it requires an MT4 broker (which I probably don’t have as I understand it to be a primarily margin- and FX-based system, and I don’t hold FX positions). The other three platforms include their own broker, which could be an advantage (less slippage) in automated trade copying at small sizes. 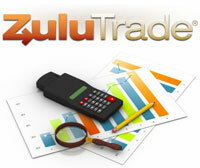 ZuluTrade is easy to use and low cost. Anyone can be a “signal provider” so finding the few “professional” traders to follow can be difficult. 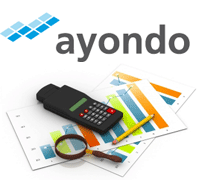 Money management knowledge is required to make this a long term investment platform. So my next step will be to set up the demo accounts, and decide on my strategy for following. I would imagine this will be momentum-based (biased to recent performance) with some filters for quality of earnings (longer-term performance) and volatility (percentage of losing months/trades, maximum drawdowns etc). Mike is the owner of 7 Circles, and a private investor living in London. He has been managing his own money for 35 years, with some success. I think this article all information is very informative and workable. So Thanks for this knowledgeable information.